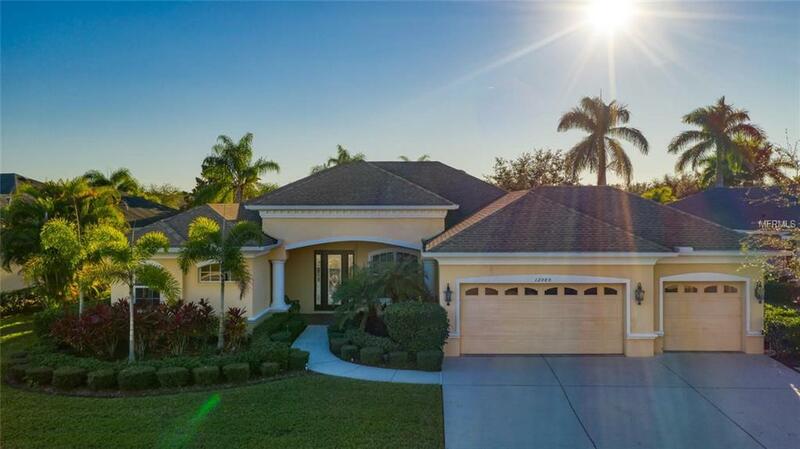 The moment you enter this 3 bedroom 3 bath plus office home, youll see breathtaking panoramic views of the pool and spa and, just beyond, a tranquil palm-surronded pond which reflects the sky and provides ideal sunset vistas. This Aspen IV Home by Towne model has been expanded 4 feet from covered entry through living room to lanai, providing ample indoor-outdoor living space. The Santos Mahogany hardwood flooring through the living area maintains its excellent sheen and does not require special care. The centrally-placed kitchen features many upgrades including a custom designed super-sized center unit with slide-out drawers, a breakfast bar, and is ideal for entertaining. 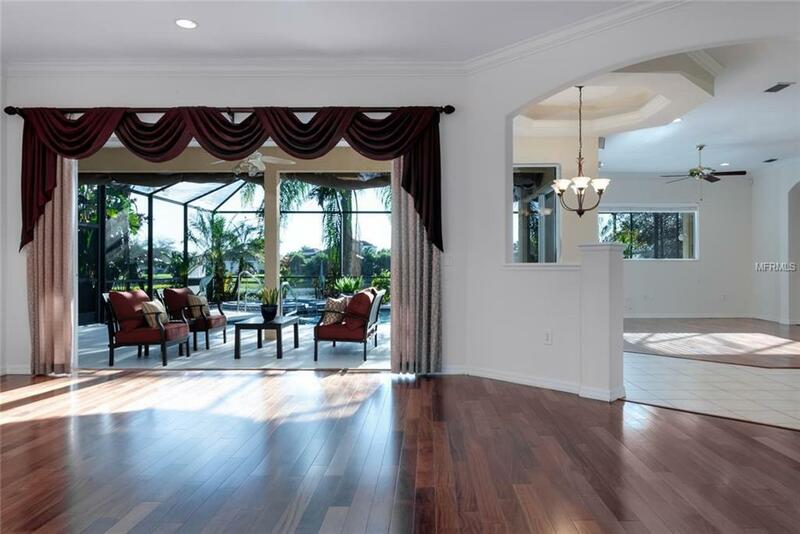 The home has a large master bath with plantation shutters, separate bathrooms for each bedroom, a formal dining area, a breakfast nook with lanai-facing bay window. A gas pool heater was newly installed for the custom-tiled swimming pool and spa. 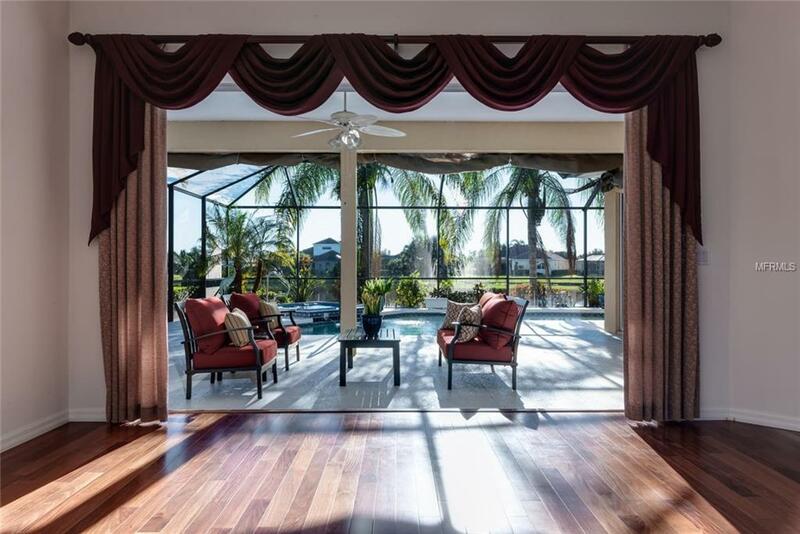 The lanai features reinforced pet-protected screening and can be accessed from both living areas, master suite, and office (possible fourth bedroom.) The house is equipped with hurricane shutters, an emergency generator, and a spacious 3 car garage. Greyhawk Landing ammenities include community pool fitness area, nature trails, a tennis court, and sports fields. 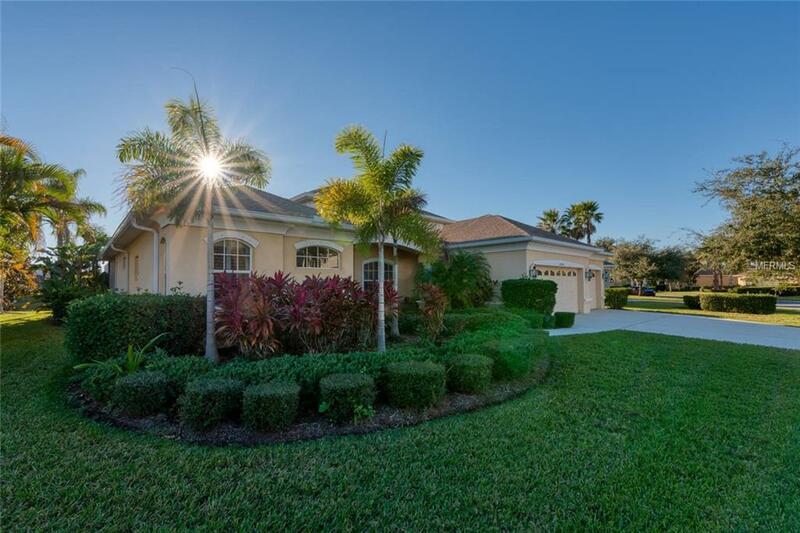 A great location convenient to Sarasota, Clearwater, and Tampa airports awaits you.